← Hemma’s 10th Birthday – October 15th! 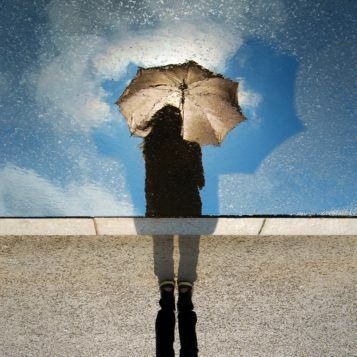 November has arrived and with it comes big pots of soup, rain, crisp mornings, grey skies, a slower pace, and – for some – unexpected emotions like sadness and depression can settle in with the clouds, especially if you experience seasonal affective disorder (SAD). First of all, we’d like to say that “beat the blues” is a catchy title, but it’s not fair to expect that the blues is something you can necessarily “beat”, cure, or fix. Your blueprint is unique to you. Your family history, lifestyle, and chemical make up in the brain can all contribute feelings that are beyond your control. If you feel down, it’s okay. As a society, we are still learning to walk alongside mental imbalance and illness – whether that’s meeting our own states of imbalance, or trying to support others along the way. Either way, it takes courage, patience, honesty, and gentleness. While it might not possible to escape the winter blues, there are ways in which you can support yourself to ride the waves. Research has shown that getting enough light and fresh air can make a difference. Acupuncture, Yoga, exercise, stress management, psychotherapy, and appropriate diet can also contribute to stability in your mental health. The important thing, regardless of the practices you are using, is to be constant and regular with your self care. This month at hemma, we have a few extra offerings to support your mental health and you can learn more on our events page. To learn more about SAD, and how yoga and acupuncture can support your mental well being, check out these links. Be kind to one another. All ways.